Murder! Mystery! Martial arts! Shang-Chi's former lover is murdered while working deep undercover for MI-6. Shang-Chi travels to England, but learns that all is not as it seems - and if he's not careful, he'll be next to die! As Shang-Chi battles mystical kung-fu masters in the streets of London and learns terrible truths about his fallen comrade, Misty Knight and Colleen Wing pitch in - but they soon discover the danger is greater than any of them had feared! And no one saw the final twist of the knife coming! 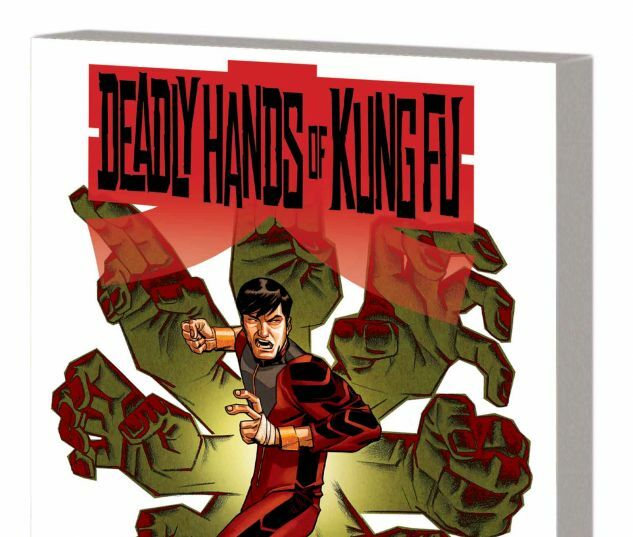 Old friends, new enemies, espionage and kung fu collide in this riveting adventure! Plus, classic tales featuring the Sons of the Tiger and the Daughters of the Dragon! 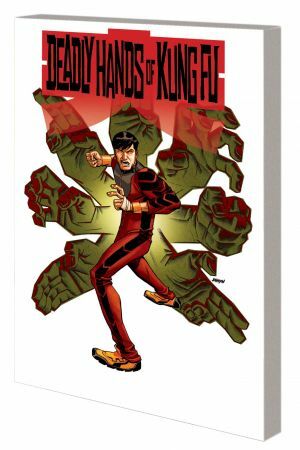 Collecting DEADLY HANDS OF KUNG FU (2014) #1-4, and material from DEADLY HANDS OF KUNG FU (1974) #1 and #32-33.